Unlike stages with rack and pinion drive, the MX110 uses a spring-loaded lead screw design against a solid stop, which ensures drift-free operation. The MX110 incorporates fast-pitch, screw drive positioning, and smooth ball bearing motion in the X, Y, Z, and probe axes for precision positioning. For added positioning versatility, the top stage tilts at any angle from 0° to 90°, and includes 22-mm of linear travel along the probe axis. This feature plus 22-mm of X-axis travel make the MX110 ideal for axial cell probing. 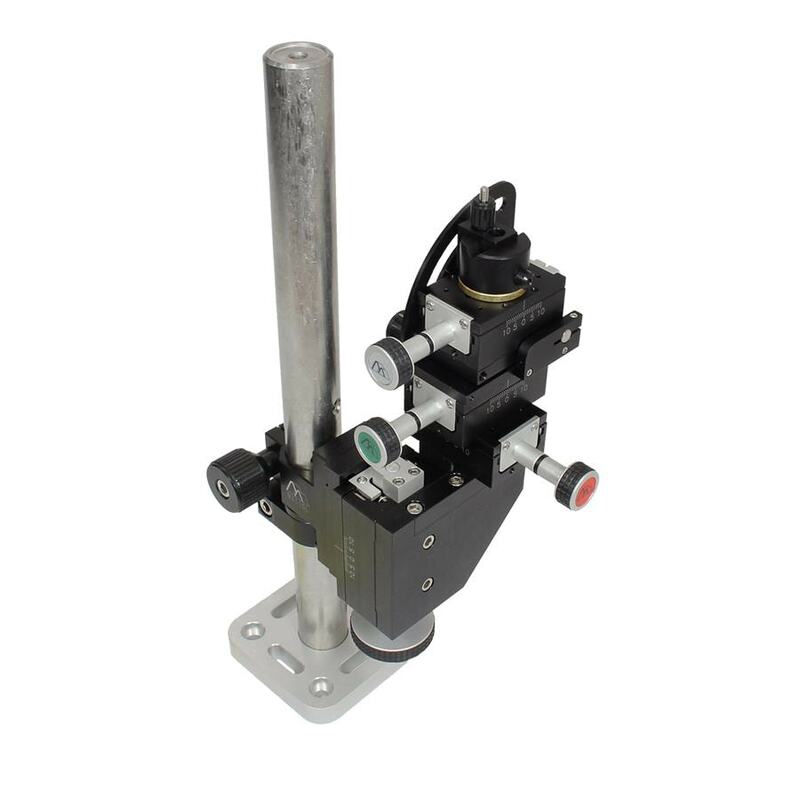 To make probe replacement efficient, the MX110 can be rotated away from the microscope and returned back to the original position using an adjustable stop. Color coded knob caps are used to identify axis location in low light conditions.